How one top performing, high earning corporate woman flew beyond the glass ceiling and now leads others to fly. Suna Senman, Quantum Transformation Coach, Author of "Being", "Peace" and "The Dragon Adventure"
What do you do after years of being a top performer in Corporate America repeatedly watching opportunities being held from you? “Why?” you ask. You work harder and notice the pattern repeat. You look at yourself and ask, “What can I change?” You improve what you can and still you keep hitting the glass ceiling. Then you look at the part of you that you cannot change such as gender and skin color. You begin to realize that you are playing in a game where the rules are against you. You tried so hard to fit into a system that was designed to exclude you. You recognize the old saying, “Doing the same thing to try to get different results is stupidity”. You struggle with this feeling of stupidity and begin your process. 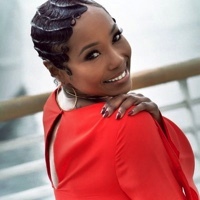 For Sheryl Grant this process began in 2006 when her mentor, Les Brown, told her to jump. Sheryl was standing on the high pillar of making a six-figure income with two sons in private school in an “ideal” marriage living the life we were taught to be “making it”. To “jump” felt like leaping to death – as we are taught to believe throughout all our schooling and socialization. We are programmed into believing that our purpose in life is to get the education, to have the job; to get married and have the children; and then we are “there”. (Did we ever ask, “Where is that?”) We are conditioned into believing this consumerism pinnacle is heaven. The programming is hitting our brains in masses of waves through TV shows, music, billboards, magazines, best friends, churches, family, social media and nearly everywhere outside of nature. Sheryl did “hit the wall”. A few years after her mentor advised her to jump, she got pushed off the pillar. She got laid off from her job and had trouble finding another. Still Sheryl struggled and managed to get another corporate job and continued stressed and unhappy until her inner strength ripened. “I wasn’t mentally ready to follow my guidance,” Sheryl recalls. Reflecting back on her process gave Sheryl insight. She now knows the steps to go from living the life she was taught to live and feeling bound to inner misery – into the freedom and joy that she has today. Now her passion and purpose is about sharing her tools with others with a program called FIT – Faith, Intuition, Tenacity. Who is Sheryl today? You need to meet her to come close to grasping the full essence of this enlightened woman. She shares her story of transformation from corporate clone to becoming Ms Olympia 50+ and the fully alive human being that she is today. Within her story she shares the tools and guidance that prepares participants in her FIT program to make transformations for sustainable success. Perhaps Sheryl’s story reminds us of other success leaders like Mary Morrissey, Les Brown, Oprah Winfrey, Michael Beckwith, Dr. Wayne Dwyer and Marianne Williamson. Sheryl’s personal coaching includes working with most of these trailblazers, many of whom recognize her own outstanding leadership qualities. 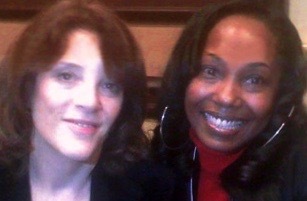 Twenty years ago, Marianne Williamson, who is currently a presidential candidate, told Sheryl, “You are going to be even bigger [than your dream to be like me]”. 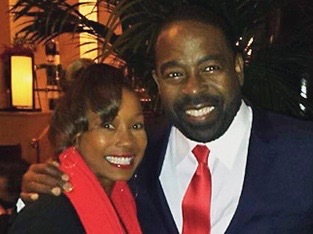 Les Brown concurred years later telling Sheryl that she has “the IT factor and is destined for greatness”. Sheryl knows that the encouragement is not only for herself. These are messages for all who are willing to shifting into total prosperity. Compelled to meet Sheryl? She is traveling around the world to meet you. 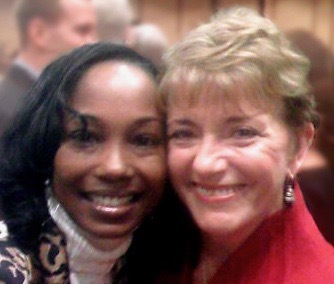 She shares her FIT program and offers networking opportunities designed for the new world. The world tour covers cities from Los Angeles to Halifax in North America and around the world through London, Cairo, Johannesburg and 16 additional cities in 2019. One woman proved, through her life, that we can shed the weeds of a struggle-life to allow the authentic person within to blossom and flourish. Her path was filled with dynamic mentors imparting their wisdoms that she used to manifest her dreams. Now, Sheryl is one of the sages assisting others who feel stuck. She facilitates the mental transformations from feeling stressed and trapped into liberation and happiness. Suna Senman is a quantum transformation coach for individuals and groups. Suna works with those who are brave enough to meet the Self. Her guidance directs one to conscious creativity. Suna is a Beyond Quantum Healing Hypnotherapy (BQH) practitioner, peace educator, and therapist skilled in identity, diversity, relationship dynamics and eating disorders. Through her work, she helps people expand their sense of self, release their illusion of separation, develop nurturing partnerships, and consciously design a harmonious life path. She is the author of Being (2009) and Peace (2013) and the holistic peace education children's book, The Dragon Adventure (2015). Senman writes and speaks on topic in various media. For more information, visit www.sunasenman.com Follow Suna's facebook page for daily meditations and regular guidance. Suna is founder of Freedom Center Sweden, a retreat center for coming home to your soul, World Foundation for Original Human Development (WFOHD) spearheading peace education for all ages including the LiTPEACE (Life Transformation through Peace Education and Children’s Empowerment) program.